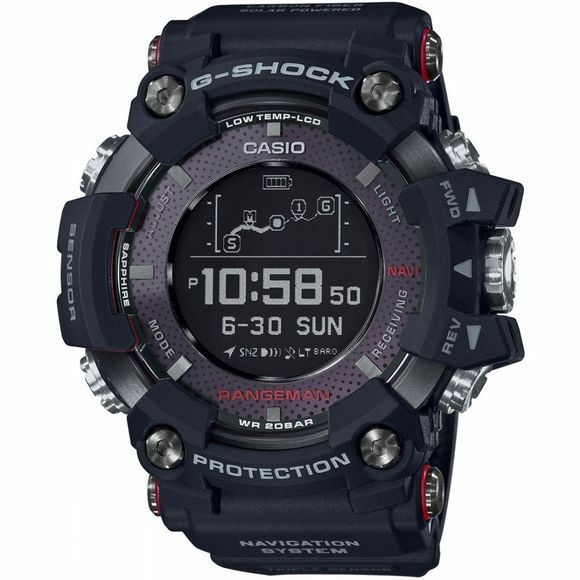 The G-Shock Rangeman from Casio is a solar-assisted GPS navigation watch for serious adventurers. The watch is equipped with a solar charging system which allows the time and other basic functions to work indefinitely, and gives a power reserve of 31 hours for GPS navigation. Once this has been depleted, the GPS function can be resumed by charging the watch in bright light, or by wirelessly charging the watch to restore the power reserve. including date/time, longitude/latitude, altitude, atmospheric pressure, and temperature, then you can choose an icon for your points along your journey for easy identification. Connect to the smartphone app via Bluetooth to view a 3D interactive map of your route, or to set up a NAVI route and transfer the data back to your watch. 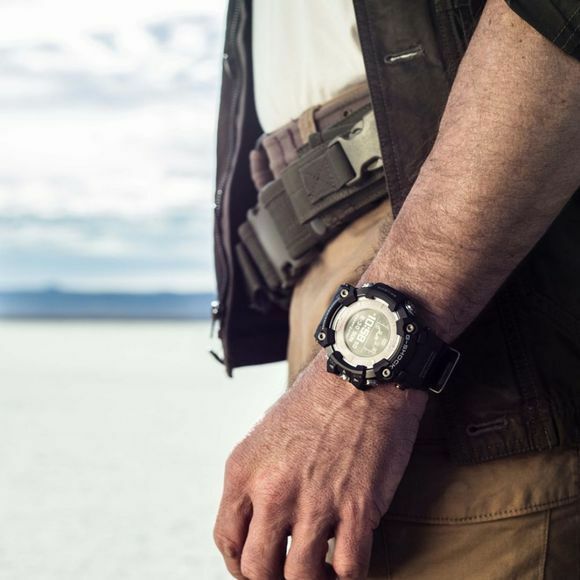 Not only is the G-Shock Rangeman technical, but also very tough. The back uses a 2.0 mm thick ceramic material which not only supports wireless charging and high-sensitivity, stable GPS reception, but makes the watch shock-resistant, temperature-resistant to -20°C and waterproof down to 200 meters. The rotary switch and push buttons feature soft silicone guards to ensure that no mud or grit can enter the inside of the watch. The carbon fibre insert band make the watch stylish and hardwearing, and the sapphire glass, LCD with super LED light offer excellent visibilty of the display from day to night.